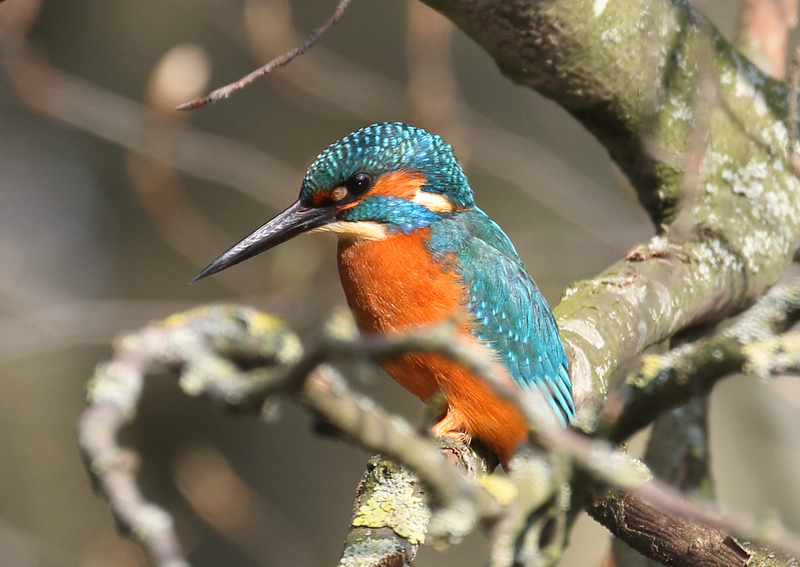 After several visits to Morden Hall Park, I finally met up with the kingfisher. He didn't just treat me to a flash of blue as he powered past me (though he did do that once or twice) but he sat nicely for a couple of minutes so I could get some photos. It's a shame about the branch in front, but, hey, you can't have everything! Kingfisher - male. I only had my walkabout lens with me.